I'm picky about what toys I buy for my son. I've curated a small collection of high quality toys that will last him through multiple stages and maintain his interest for a long time. I seek out toys that meet these key criteria -- well-made, safe, foster creativity, can't be used to destroy my home (in my NYC apartment, the living room doubles as a play room), will last through multiple stages, and made by an eco-conscious brand. We have had the Friendimal by Bontoy for a while now, and it passes each criterion with flying colors, and my son loves playing with it. In this post I share all the details about it, as well as a promotion code for $20 off (at the end of the post). The post includes two videos -- one of my son riding the Friendimal and the other of me demonstrating some of the key features. 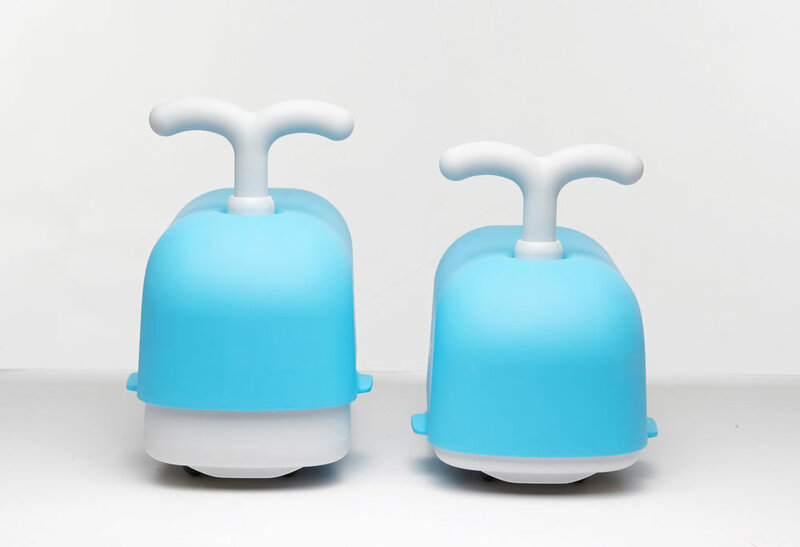 The Friendimal is an adjustable indoor ride-on toy for kids 18 months through about five years. Here is my first ever video review. I hadn't rehearsed or scripted this at all and did it in one take, but I think I captured the key features. Don't mind the noise in the background, my son couldn't resist a snack. Read the rest of the blog post for additional details about the Friendimal. The Friendimal design is simple and cute, which fosters creativity, and comes in four colors: orange, pink, blue, and mint , which is what I have.. It has been nominated for and won multiple design awards since its launch in 2014. The Friendimal has a simple yet innovative design. It is made in Korea of non-toxic plastic and is free of sharp edges, which makes it safe for your kids and your furniture. My son has ridden his straight into his bureau and it didn't leave any mark. It has a handle at the back, which makes it really easy for parents to pick it up. Bontoy did'nt miss any details -- they even included a convenient carrying handle. The wheels spin 360 degrees (kind of like a modern suitcase) so it can easily move in any direction. The second video in the post shows just how silky the driving is. The wheels are made of rubber and mounted on metal ball bearings, which limits friction, noise and potential scratches to your floors. My apartment is mainly hardwood floors, which we redid shortly before my son was born. I love having the peace of mind for him to ride around freely without having to worry about dings and scuff marks. This is the only ride on toy that I know of that can be adjusted to last for such a long age span. To adjust the height, you simply unfasten the cover on the underside of the Friendimal, insert the included "height parts," and refasten the cover. The Friendimal comes neatly and adorably boxed, which makes it perfectly "giftable." I definitely recommend giving it as a holiday or birthday gift! Bontoy supports the protection of whales by donating a portion profits to the Whaleman Foundation, based in Hawaii. Hopefully, by playing with this toy, your child will develop a curiosity and appreciation of whales! The Bontoy Friendimal is available at Amazon. Click here to purchase, and use code "MYBONTOY” at checkout for $20 off. This promotion is valid from November 9, 2016 through December 31, 2016. I would love if you would share in the comments your children's favorite toys and what makes them so great! Also, let me know if you would like to see more video reviews! For more of my toy recommendations, see my holiday gift guide and join my Facebook group where I post deals on great toys and other items for the entire family all year long. This post was sponsored by Bontoy, all opinions are my own.